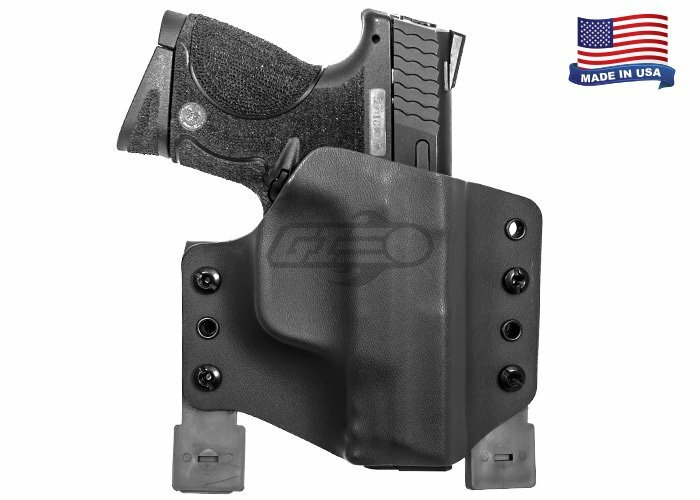 The Redline Pro Gear holsters for the M&P9C provide a friction fit Level I retention holster made from durable 0.080" Kydex. These Redline Pro Gear holsters are attached to belt loops or MOLLE compatible platforms with included malice clips. This system is great for those that want to have quicker and easier access of their weapon. 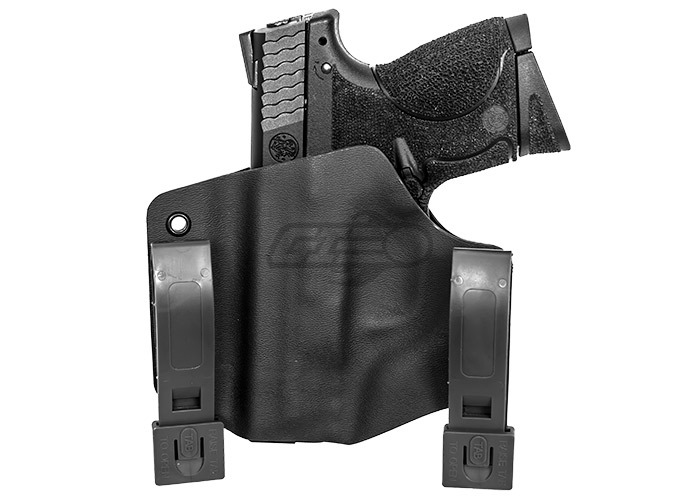 The friction design holds the gun in place and comes off of the holster when you pull on it.